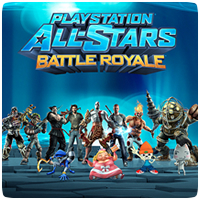 After months of silence, details have emerged of a new patch for PlayStation All-Stars Battle Royale, which will rebalance some of the game’s mechanics. Sony’s Santa Monica Studio has released notes on what the patch will contain, but didn’t mention a release date. Every character’s throw attempts have been standardized to 9 startup frames, 3 active frames, and 18 recovery frames, with the exception of Isaac, Kat, and Ratchet. The minimum effective range of throws has been increased to 1 meter (previously 0.75m) for all characters except Parappa, Sackboy, and Toro. In online matches, jumping out of an opponent’s throw attempt is now resolved through the throw clash system. Every character’s air dodge has been standardized to 27 invincible frames followed by 9 vulnerable frames (previously 29 invincible plus 7 vulnerable). Every character’s directional rolls have been standardized to 18 invincible frames followed by 16 vulnerable frames, with the exception of Fat Princess, Spike, and Zeus. Characters can no longer perform actions for 3 frames after landing from air idle. Characters can no longer double jump during down tech. Landing during down tech or down tech canceled into air dodge now triggers the same recovery as landing during an attack. Getting hit in the air no longer renews a character’s double jump ability. All timed transformation Level 2 Supers can now be ended manually by pressing L2. Throws that cause eject or flatten reactions eject Heavy amounts of AP orbs. Throws which act as combo starters eject Light amounts of AP orbs (33% of Heavy). Jak’s Up Throw and Sweet Tooth’s Up Throw eject Medium amounts of AP orbs (67% of Heavy). Throws, items, level hazards, and other AP eject attacks now produce 50% more orbs during 2X AP Overtime, 100% more orbs during 3X AP Overtime, and 150% more orbs during 4X AP Overtime. AP multipliers no longer increase the value of individual orbs. Explosion radii of all mines have been standardized to 0.375 meters, explosion durations have been standardized to 8 frames, and maximum lifetimes have been standardized to 5 seconds. Double-tapping L2 now causes characters to eject 50 AP as orbs while taunting. All character-specific combo tutorials have been revised in light of the following changes.